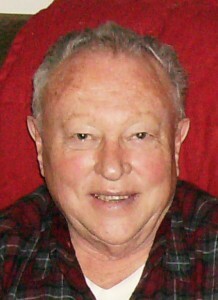 David Roger Faddis, 74, a longtime resident of the Concrete community, passed away at his home on Sun., Feb. 19, 2012. Dave was born on Nov. 4, 1937, in Rock Springs, Wyoming, the son of Harry and Thelma (Buston) Faddis. The family relocated to Seattle, living in the Ballard area where Dave was raised and attended school, graduating from Ballard High School with the class of 1956. He then served his country in the U.S. Coast Guard for two years. After the Coast Guard he returned to Ballard, where he worked as a home delivery milkman for Darigold, and then began a long career in real estate. In 1970 Dave moved his family to Concrete, where he opened Skagit Valley Realty, which he operated for several years. He also worked as an ambulance driver, later becoming a licensed EMT and then a paramedic. Dave worked as a paramedic for hospitals in Skagit, Island, and Whatcom counties. He was instrumental in organizing Concrete’s Aero Skagit Ambulance service. He also taught EMT classes for many years. Dave loved working as a paramedic for 27 years. He was an avid rock hound, a passion he shared with his brother and his dad. He enjoyed collecting gems, minerals, and petrified wood from all over the world. He was a gold and silversmith, and would make beautiful jewelry pieces for his family and friends. He also was a carver, creating treasures from wood and soap stone. Dave was a lover of dogs, always having one as his constant companion; his latest dog, Zoe, had adopted Dave, coming to his home from a neighbor and never leaving. Dave is survived by his children, Christine Hamilton and her husband Richard of Camano Island, and Douglas Faddis and his wife Tami of Mount Vernon; six grandchildren, Amanda Nguyen and her husband Michael, Jeremiah Taylor and his wife LaNora, Matthew Hamilton, Nicholas Williams, Corey Williams and his wife Angie, and Cayla Pitts and her husband Steven; seven great-grandchildren; his sister-in-law Marjorie Faddis; two nephews, Mike and Jeff Faddis; and his faithful companion, Zoe. He was preceded in death by his parents and his brother, James Carl Faddis. There will be a Celebration of Life event hosted by Concrete Mayor Judd Wilson on Sat., March 3, from 1 to 4 p.m. at Concrete High School Commons room. A Celebration of Life open house will be held on Sun., March 11 at The Farmhouse Inn from 1 to 4 p.m. Cremation arrangements are under the direction of Lemley Chapel, Sedro-Woolley. Share memories of Dave and sign the online guest register at www.lemleychapel.com.